Visual impairment can occur at any age and ranges from low vision to total blindness. In Malaysia prevalence of blindness for all ages is 0.2% and low vision is 2.44% (based on National Eye Survey, 1996). Prevalence of blindness among children 7 to 15 years is 0.1% (based on Refractive Error Study in Children, 2003). 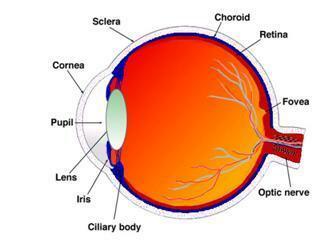 Disturbance of cornea, lens, vitreous, retina and optic nerve can cause visual impairment. Blindness can occur at any age and with varying degrees of impairment. When do you consider a person is blind? his/her visual field is less than 10 degrees from fixation in both eyes. Most visually impaired persons have some useful or residual vision and just because they use a cane does not necessarily mean they are totally blind. What are the signs of blindness? Adults will be able to tell if they have visual problems. How does one test for visual problems? Observation of a person’s behavior as described above i.e. appearance, behavior and complaints. Simple screening with a Snellens chart can be carried out at any of the government health clinics in the country. For babies and very young children, vision can be tested by moving a colourful toy/ pom-pom by observing child’s eyes following the object. Other visual field test using confrontation or perimetry, need to be done by trained personnel. Diabetic Retinopathy through regular eye screening and Laser Photocoagulation. What are the problems faced by those with visual impairment? They need to learn to adapt to their visual disability and may require rehabilitation and aids such as using white cane /stick. What can we do for someone who is already blind? Both the child and adult person with visual impairment/ blindness need rehabilitation. Register person with Social Welfare Department, this form can be access through www.jkm.gov.my. This is important so that the statistics of visual impaired person in the country is constantly updated and resources allocated for services. Where to get the cane? M. Zainal, SM Ismail, AR Ropilah, H Elias,G Arumugam, D Alias, J Fathilah, TO Lim, LM Ding, PP Goh. Prevalence of Blindness and Low Vision in Malaysian Population: Results from the National Eye Survey 1996. Br J Ophthalmol 2002;86:951-956.